The headline of this post sounds a little “sensationalized” but it is the title of a trading book I recently finished reading. 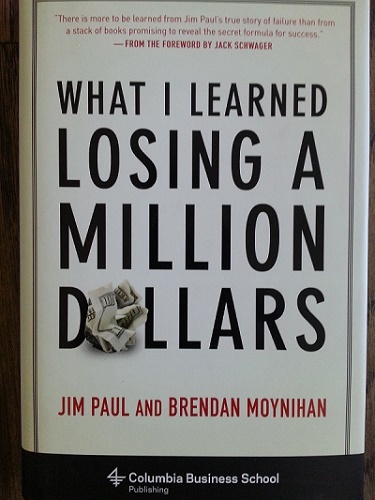 There are a lot of trading books out there and many of them are hard to digest but this book “What I learned Losing A Million Dollars” is excellent if you want insight into the process of losing a lot of money and the mental mistakes that go with it. I came across this book when I saw that well-known investor/author Nassim Taleb listed this book as one of his favorite books. (He doesn’t interview much and he is one of the smartest investors out there so I figured I should read this book if he thought that highly of it). The book tells the true life tale of commodities trader, Jim Paul, who came from nothing and became one of the most prominent traders in the Commodities market……only to lose everything by making some of the biggest trading mistakes possible. Of course hindsight is 20/20, but the insights you learn from Jim’s roller coaster ride in the markets will give you insights into some of the biggest mistakes that investors make. Even if you aren’t a trader and just want to learn some invaluable life and business lessons then you should read this book. The book will help you understand the mistakes that can be made with any investment and the risks of not having a plan. 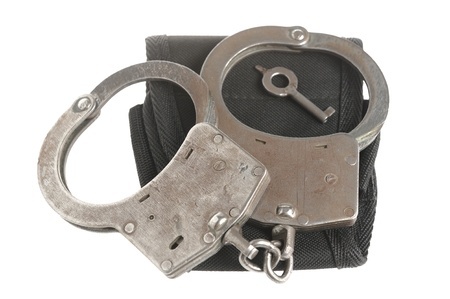 It provides some great lessons that will hopefully keep you from making the same mistakes. Also, if you are looking for other investing books you can reference a past post I wrote called “How to Trade Stocks for Beginners” where I list a couple other popular trading books that will give you a more methodical approach to trading/investing. (side note- both books were written 20years ago and still work today in your investing). 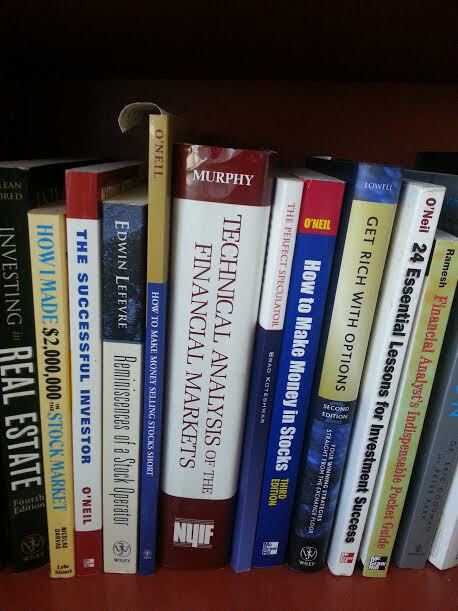 Here is a quick photo I took of some other popular investing books I own that you can consider adding to your reading list (many libraries might even have some of these books). Please share below if you have any investing books that you like.